Had a fun one today! By skm, September 1, 2016 in Repair/Diagnostic Help & Tech Tips! I had a 93 lexus ls400 come in been at another shop for a while now, they could not fix the problem. The car would run and drive fine if you were very easy on the gas. If you gave it a good load it would buck and go crazy. Would set a code 41 tps circuit. Of course obd1 not so much in the way of data stream etc.. manually checked tps sensor passed no problem , checked the continuity back to the computer no problem. 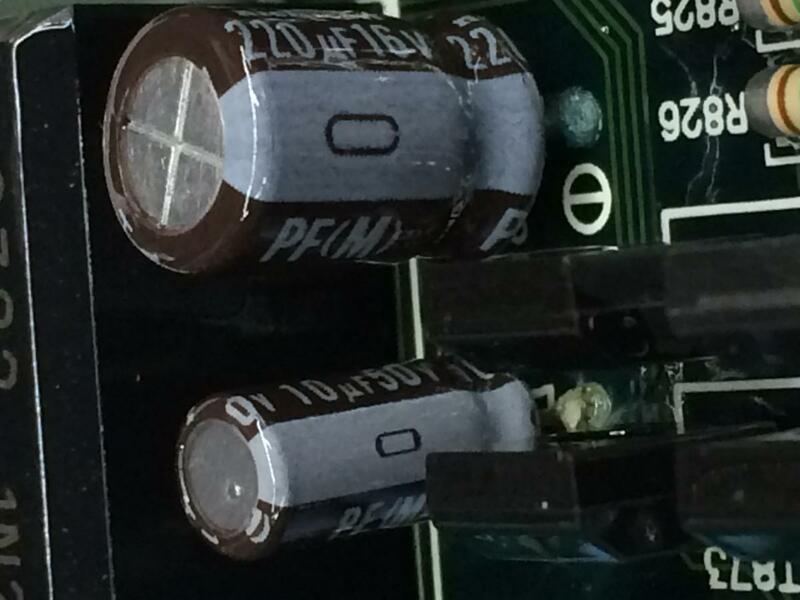 Found leaking capacitors in the computer. This is going to be more a common issue in the coming years. well as usual the other shop wants to take the credit for the repair, they will put a computer in it. I just charged them 2 hours diagnostics . That is the third car I have diagnosed for them the last two weeks. I told them them next one I am going to up the labor since they should be competent enough to do it them selves and since they are taking the credit I will charge more next time. I will boost the hourly rate on diagnostics for them. I hate to build another shops reputation, but I will not bad mouth them to the customers either so I figure that is a fair trade.